While engagement ring trends tend to change and evolve every year some designs have stood the test of time. Though, classic isn’t for everyone. Some modern designs have staked their claim not only as Pinterest darlings, but also as very popular modern trends. The current on-trend rings showcase the unique and ever-evolving definition of what an engagement ring should be. While solitaires are classics and will likely remain in style forever modern designs are as unique as the couples they belong to. Many couples go out of their way to design custom rings that showcases their unique style and who they are as a couple. Many of the looks embraced by the engagement ring fashionistas of today are bold, unique, and tradition defying. The most important aspect of your Engagement Ring Dallas is how much you love it. It’ll be on your hand for the rest of your life and should be your favorite accessory. If you’re in love with modern designs but fear they may go off-chic in the future pick a modern design that’s subtle or more elegant than daring and edgy. Below are just a few modern engagement ring trends that are truly destined to become instant classics. Many brides to be are choosing to twist the script on traditional engagement ring styles. While there are literally hundreds of ways to personalize a ring, there are two styles that stand out above the rest. The pear diamond engagement ring pictured above is an upside-down engagement ring. In upside down rings, the centerpiece diamond is suspended from the bottom of the band. 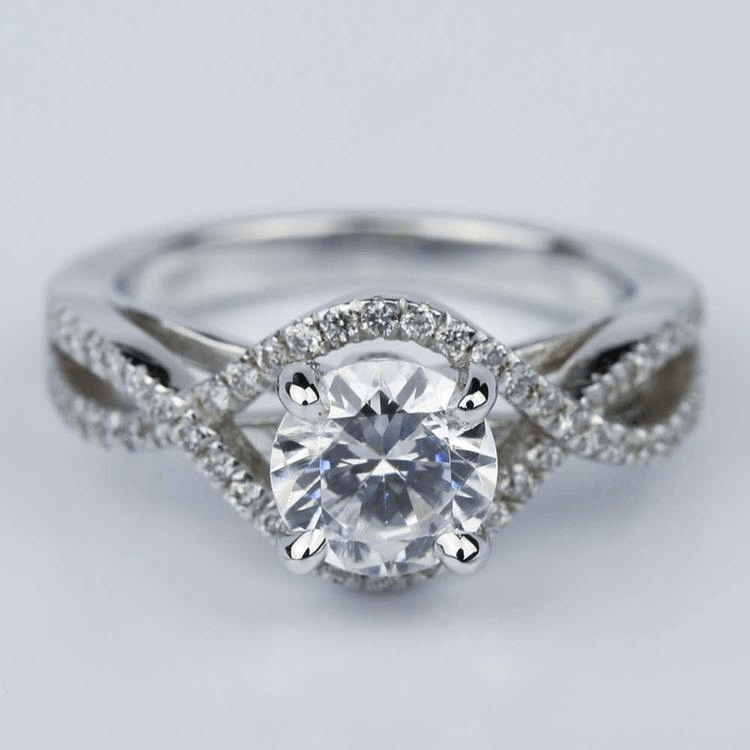 This differs from the classic setting of having the center diamond set into the center of the ring’s band. The bands of upside down engagement rings dip down to house the stone. 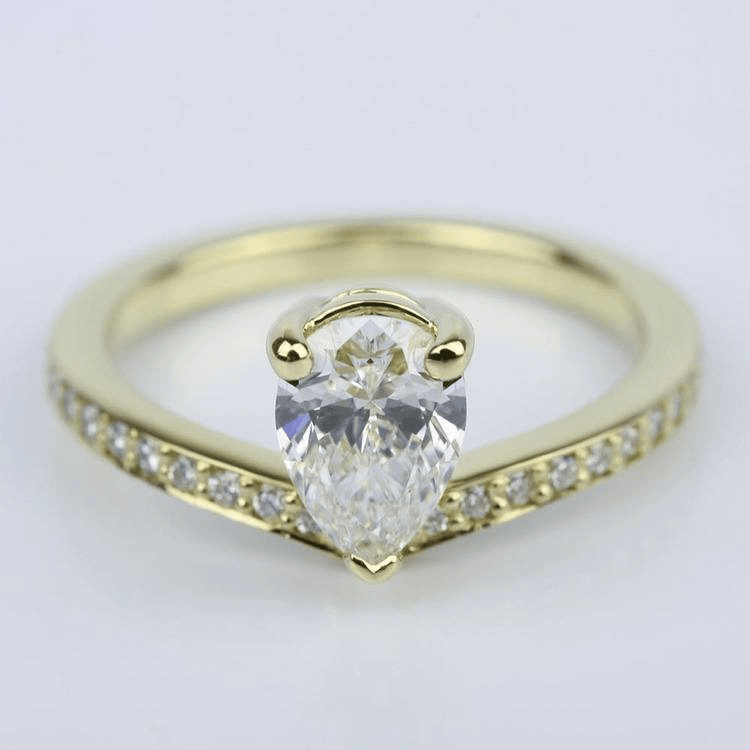 An asymmetrical diamond such as a pear cut is a great from this style of modern engagement ring. include horizontal settings for elongated and rectangular cut gems and diamonds. These cuts can include almost any style diamond turned on its side. Some of the more popular choices for this ring are the marquise, radiant, cushion, emerald, and oval diamond cuts. Modern brides to be favor oval cut center stones for their engagement rings. This cut retains its brilliance while breaking away from the traditional round cut diamonds. An oval cut center diamond is just unique enough to be extra eye catching. The traditional center set oval elongates the finger making this diamond cut the perfect choice for brides with short or thick fingers. If you want your oval cut diamond engagement ring to be a little trendier you can turn it on its side and embrace the east-west setting like in the photo above. The opal cut diamond may be a ‘new favorite’, but this trend may turn it into a true classic! While diamonds will never truly go out of style a new contender has entered the stage of engagement ring stars. Modern brides to be are trading in the traditional diamond for a gem of equal brilliance: Moissanite. Moissanite not only flaunts flawless clarity, but it also carries more fire than diamonds. Though, just like diamonds this flawless gemstone can be styled and cut into any shape and design your heart desires. Moissanite is also friendlier to your budget. All the pros of trading diamonds in for moissanite has most brides biding tradition ado and falling in love with the new trend of moissanite engagement rings! It’s a universal rule that all rings have circular bands, right? Check out these unique band cuts that have brides to be chucking the traditional round band out for a more unique engagement ring look. Not all bands are infinite as the love you share with your partner. 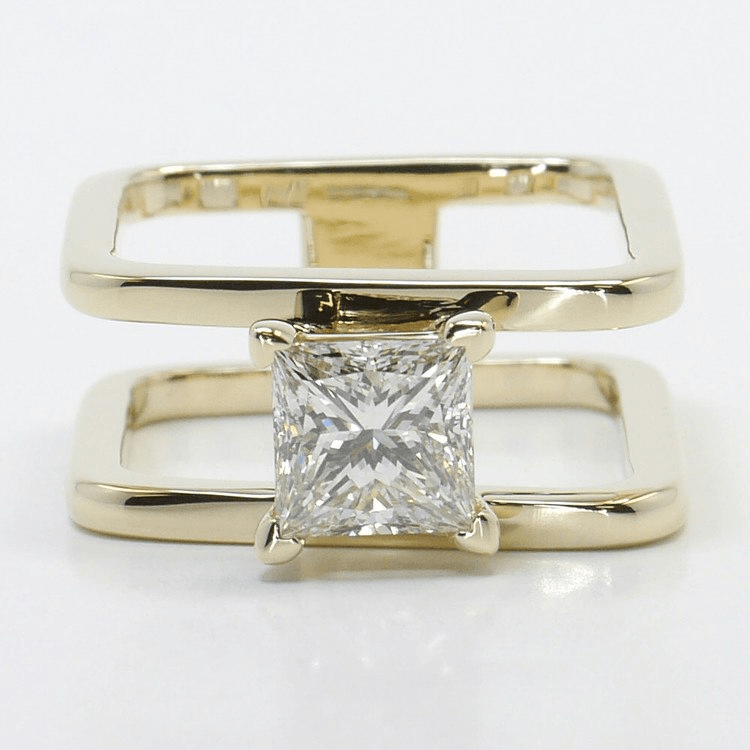 An open band style features a center piece stone or diamond at each end. The open band style showcases the middle of the ring finger while also drawing the eye to the setting of the ring. This uniquely funky ring band is comprised of one or multiple strips of metal curving into the well known ‘V’ shape of the chevron pattern. The ‘V’ can face up or down on your finger depending on how the bride-to-be prefers to show it off. You can’t go more modern than a ring band that evokes the mod sculptural designs of the past. The square engagement ring band captures sleek elegance, clean lines, and classic details. This ring band is best complimented by a square or rectangular gemstone or diamond. Rose gold is growing from a fad into a lifestyle! With options for this color plating technology across the globe it’s no wonder that the love of rose gold is growing more popular than ever. 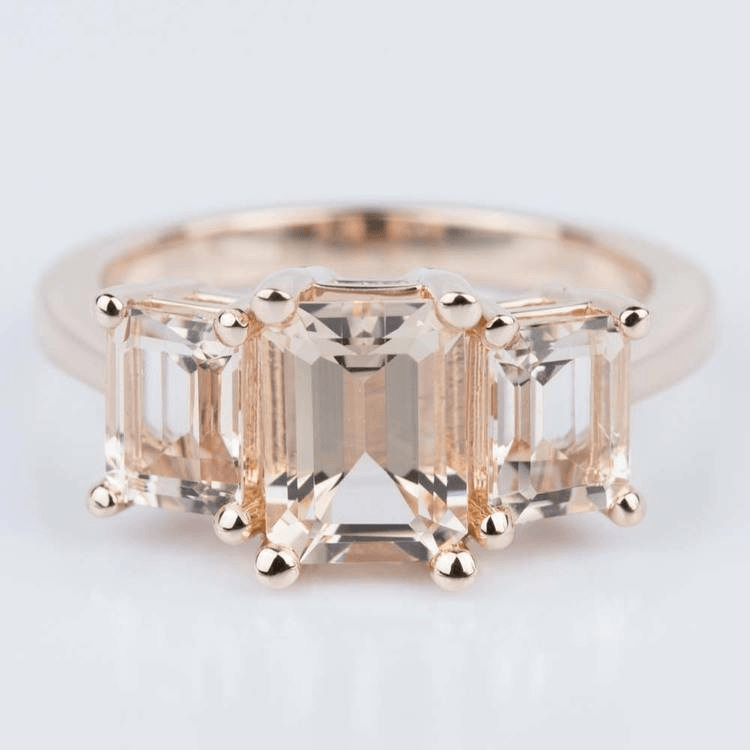 Following the tech trends couples are creating beautiful blushing gold designs for their engagement rings. When you pair a rose gold band with rosy stones like pink diamonds or morganite it creates a blushing overall hue and color palette than softens the overall ring. This is the modern take on the all feminine engagement ring. Modern engagement ring trends change with each new trend in fashion and color, but these designs are destined to become true classics just like the old fashion go-to the solitaire engagement ring. At the end of the day, the engagement ring you choose should represent you and your loving relationship. Modern designs offer more options for the modern bride to express herself.